Jenn and Jules Designs' cute Aloha Cake topper is finally here! 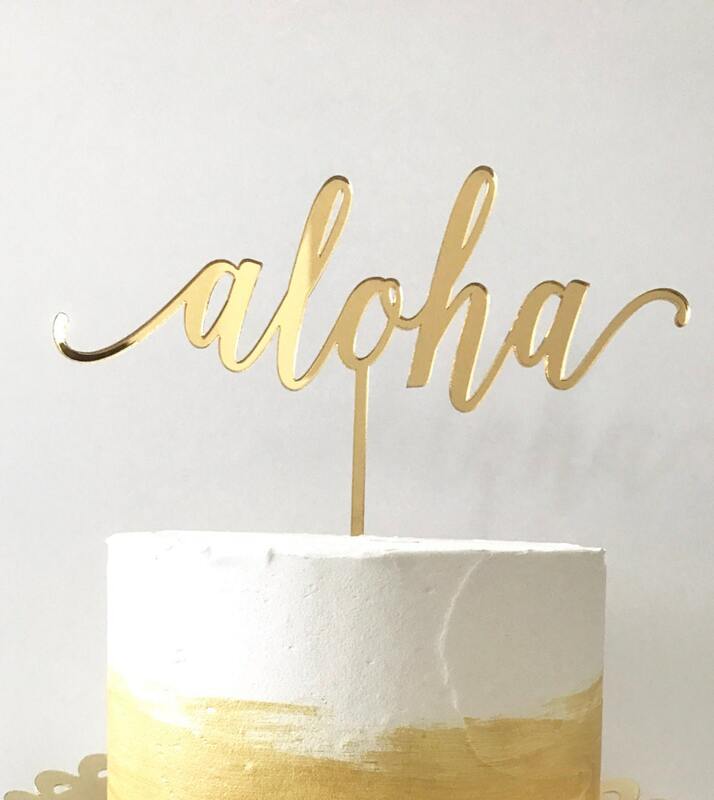 Our aloha laser cut cake topper comes in all of our acrylic colors and unpainted/unfinished MDF, perfect for your wedding or event styling needs. 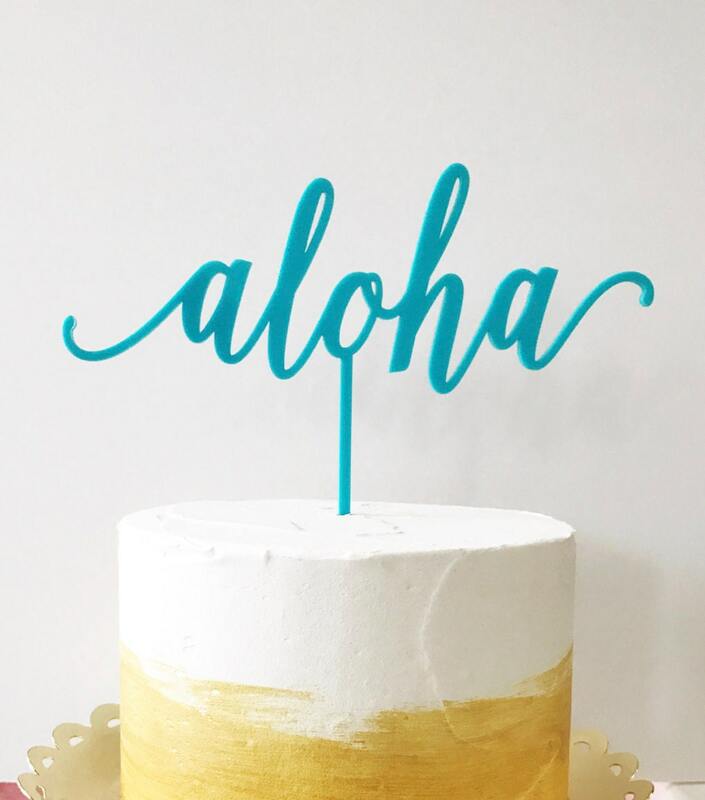 This aloha cake topper is fabulous for destination weddings, bridal showers, Hawaii weddings, engagement parties, baby showers, birthday parties and so much more. Our aloha topper is sure to set a tropical and festive mood for any of your winter, spring and summer summer soirees! The spike is about 4 inches long. Absolutely love this cake topper! We got it for our wedding cake and it was perfect. The seller was easy to communicate with me and let me customize the font to my liking. It was packaged so perfectly! The Vendor went ABOVE AND BEYOND with our order! The item itself was beautiful and in perfect condition. It came in such fun packaging that made it feel like I was unpacking christmas morning in a box! They even included a little gift as well with a handwritten note that congratulated us for our wedding and said thank you for our order. I felt so valued as a customer! They were so wonderful to communicate with as well! 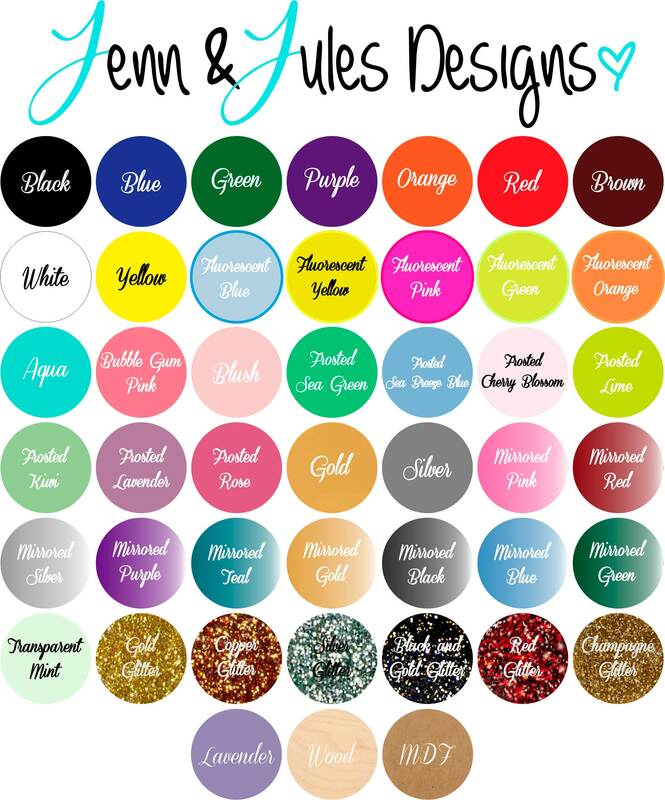 100% I would recommend you to order anything from them !! YOU WILL NOT REGRET ! They were able to make a "just married" cake topper and it was perfect!